Amnesty International has led a chorus of criticism after online news website Rappler was ordered to shut down. 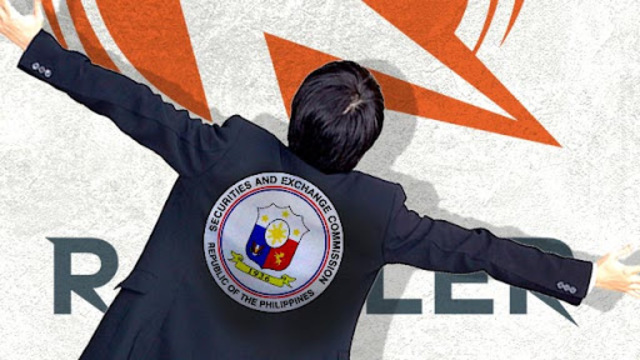 It was announced today (Monday, January 15) that the Philippines’ Securities and Exchange Commission (SEC) has revoked Rappler’s Certificate of Incorporation, accusing it of violating constitutional restrictions on foreign ownership. Legally, all mass media outlets in the Philippines must be 100 per cent Filipino owned. The SEC claimed that funds provided by the Omidyar Network, a fund created by eBay founder and entrepreneur Pierre Omidyar, constituted foreign ownership. However, Rappler has countered that the investment was made via Philippine Depository Receipts (PDRs), which do not give investors any ownership or control over companies they invest in. James Gomez, Amnesty’s Director of Southeast Asia and the Pacific, said in a statement today: “The moves by the Philippine authorities to shut down Rappler is an alarming attempt to silence independent journalism. The government must immediately reverse this decision and end all efforts to stifle free press in the country. During his State of the Nation Address last July President Duterte alleged that Rappler was fully owned by Americans. The company was founded in 2012 by veteran Filipina journalists Maria Ressa, Glenda Gloria, Beth Frondoso, Gemma Mendoza, and Marites Vitug. Opposition politicians have also expressed concern. A statement from the Gabriela bloc of lawmakers said the decision “constitutes one of the gravest attacks to press freedom in the post-1986 EDSA uprising period” and is a “chilling reminder” of the media crackdown during the dark days of the Marcos dictatorship. In a statement today, Rappler said it would fight the SEC’s move. “We intend to not only contest this through all legal processes available to us, but also to fight for our freedom to do journalism and for your right to be heard through an independent platform like Rappler. Rappler will continue to operate while it files the necessary motions for reconsideration with the courts. The government has been harassing three of the Philippines’ largest news organizations, repeatedly threating to shut them down. I don’t think it’s a coincidence that these are the media outlets that are most critical of the administration. The threat has been fulfilled with Rappler, which has been found “guilty” when it’s clearly not guilty. President Duterte’s war on freedom of the press goes back many years. Pala, a frequent critic of then-Mayor Duterte, was murdered. No arrests were ever made in that case.